I always stop to pick up a penny. They’re small and easily overlooked, but they’re worth something. I’m excited to discover them; each one with a story to tell. This 10-foot penny was made to remind me where true worth lies. 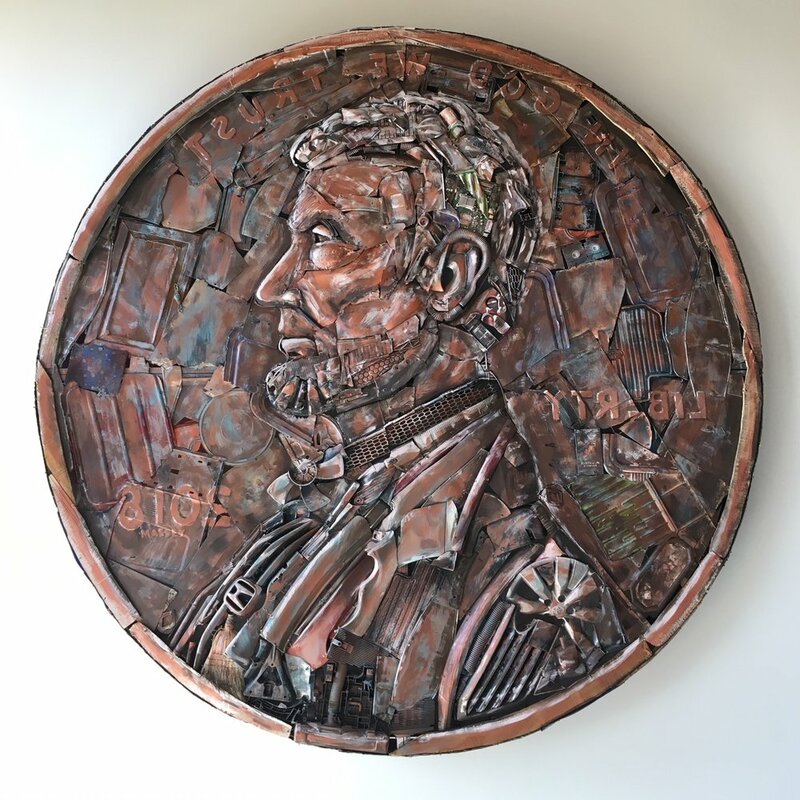 I enlarged a one-cent coin using objects that people threw out, deeming worthless, and after a little elbow grease… now worth is indisputable. 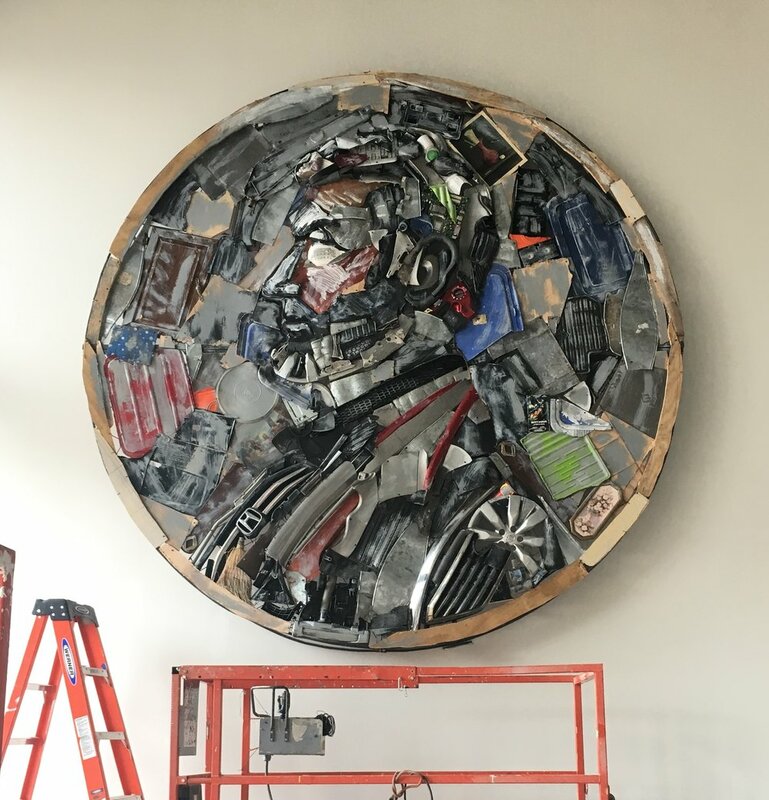 This sculpture was coordinated by Hope Cohn Projects for Broadstone Yards in WestSide Provisions, Summer of 2018.